El Mundo has published pictures of what is believed to be the imam’s home in Morocco, surrounded by cannabis plants. There is a lively seaborne trade between the North African dictatorship and Spain, dealing mainly in cannabis and illegal tobacco, but also arms and illegal migrants. After successfully appealing his deportation, the drug dealer applied for asylum, ultimately allowing him to travel freely throughout the European Union’s borderless Schengen Zone — described as “effectively an international passport-free zone for terrorists” by former Interpol chief Robert Noble . Satty is thought to have travelled to the EU capital in Brussels, Belgium, shortly before the terror bombings there in 2016. The attack on the Catalan capital which Satty masterminded has so far claimed 15 lives and left over 150 people injured. 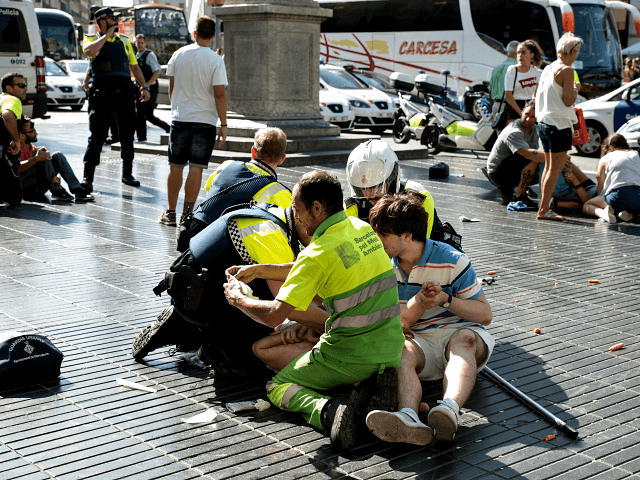 It could have killed substantially more had he not been killed when the stockpile butane gas canisters and acetone peroxide (TATP) he was stockpiling in a house in Alcanar exploded, preventing its use in La Ramblas. Following the atrocity, the conservative government in Poland warned that the attack was the “tragic end” of the weak immigration policies of the EU’s leadership, and the governments of some of its Western and Northern European member-states. “We are all shaken by the information that comes to us from Spain, and we share the pain of the families of the victims,” commented Deputy Defence Minister Michał Dworczyk.